The hot spring tourist home “Ohara-No-Sato” in Kyoto is located in the country for about 40 minutes by bus from inside of Kyoto called Ohara. You can enjoy snow in winter. You can enjoy a cherry tree in spring. You can enjoy a firefly in summer. You can enjoy autumnal leaves in autumn. In Ohara, you can enjoy the four seasons of Japan. My hotel is atmosphere of the hotel in old Japan which is located in the country unlike the refined hotel in Kyoto. 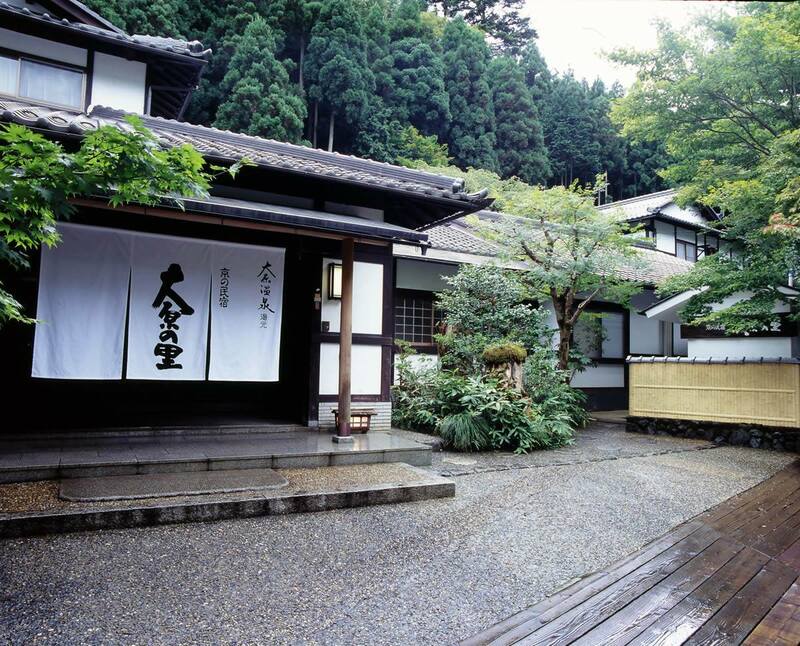 Since the room and a building are also maintaining the image of old Japan, you can enjoy the atmosphere of the hotel of ancient times of Japan. In a hotel, please wear the original yukata of my hotel and relax. The bath of my hotel is a hot spring. There is a large bathroom. In addition, there is an open-air bath using a big iron pot. An iron pot bath is a bathing style of traditional Japan. You can do it calmly, looking at a night sky there. My hotel of the noted product “Miso Nabe (bean paste hot pot)” of my hotel is the originator in origin. Other hotels imitated the dish which my hotel began, and it spread in Ohara. I am making the Miso currently used for Miso Nabe (the bean paste hot pot) from handmade. Material is a quality material (a soybean, salt, koji of rice) which the Japanese farmhouse made carefully. Miso (bean paste) is a fermented food. “Koji” indispensable to making Miso (bean paste) is using the bacillus of the bacillus store who does business in Kyoto in 300 years or more. The environment to ripen is not a factory using the newest technology, and is a traditional wooden warehouse. Since the warehouse is used in 100 years or more, the bacillus of Miso (bean paste) lives in the pillar of the warehouse. In the building of the newest iron, since a bacillus does not settle, it cannot ripe deliciously. It is only my hotels (and Miso store of an affiliated store “Misoan”) in Ohara how to make tradition and to make Miso (bean paste) from a traditional material. Since my Miso (bean paste) is not wholesaled to other hotels in Ohara, if you would like to eat this Miso (bean paste), please come to my hotel and affiliated store.